As a fitness enthusiast, I never thought that I would switch over to a plant based diet. Where would I get my protein? I was always led to believe that I desperately needed animal protein to make fitness gains. I decided to go plant based anyway, and I have never looked back. I can now see what all the rage is about. 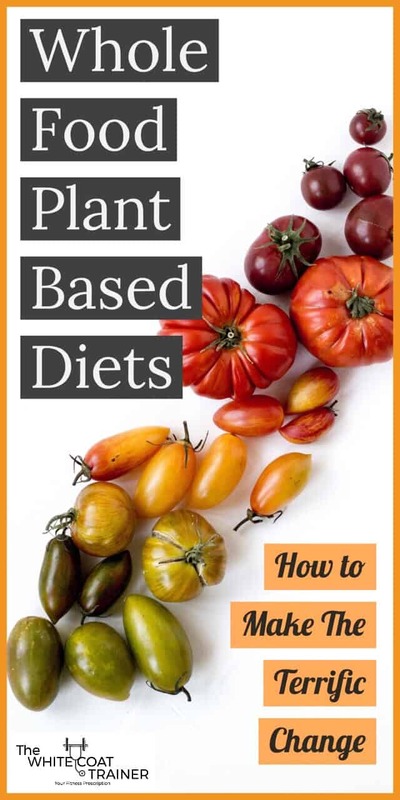 Today, we will cover the amazing benefits of a whole food plant based diet (aka the wfpb diet) and give you several reasons why you should incorporate more plants into your life. This is the fifth installment of the WCT series on Diets. In Part 1 Intermittent Fasting Explained [And How To Decide If You Should Do It], we examine the art of fasting. A strategical approach to consuming all of your calories in a short window. In Part 2 The Ketogenic Lifestyle: An Unusual Way To Lose Weight & Burn Fat, we discuss the pros and cons of forcing your body into ketosis. In Part 3 The Paleo Diet Plan: A Simple Way To Eat Clean & Improve Your Fitness, we go over a simplistic approach that encourages you to eat only the foods that were available to our ancestors. In Part 4 Why The Mediterranean Lifestyle Might Be The Healthiest Diet of Them All, we argue why it’s a good idea to eat the way Mediterranean countries do. A whole food plant based diet is one in which you base most or all of your meals around fresh, unprocessed fruits, vegetables, legumes, whole grains, and nuts. This is an important distinction from a plant based diet, which has a very loose definition. A plant based diet can mean many different things. French fries? Also, plant based. Anything that has not been made with animal ingredients could be considered plant based. Therefore, it is important to note that just because you are eating plant based, it does not necessarily mean you are eating healthy. A whole food plant based diet draws the line at what plant based foods you should focus on. It recommends that you focus on, you know…. actual food. What’s The Difference Between Plant Based Diet Vs Vegan? There are subtle differences between a whole food plant based diet and veganism. Vegans are more strict. They will not eat anything that comes from an animal. This includes food such as honey. A whole food plant based diet on the other hand, is simply a spectrum. Or you can be on the other end of the spectrum, where you never eat any animal products, which makes you more like a vegan. Despite the difference, many people will use the terms interchangeably. It has however, become more common to use the term ‘plant based diet’ instead. Plant based diet just sounds better than veganism. In addition, the American society associates the word vegan with many negative connotations. Some people ‘hate’ vegans, for some reason or another. In addition, veganism is also loosely defined. You can eat highly processed garbage, and still be a vegan. A whole food plant based diet doesn’t condone that kind of activity. Okay, so what are the benefits of consuming a whole food plant based diet? More and more evidence is emerging that consuming a whole food plant based diet is extremely beneficial. Let’s briefly go over the major ones. Strap in, these are very impressive. Whole food plant based diets are based on real, unprocessed, nutrient-dense foods. This means that calorie for calorie, a plant based diet will likely provide your body with more nutrition when compared to a standard American diet. Total calorie intake is one of the factors associated with weight control, however far too many people ignore the importance of consuming enough micronutrients in their diet. If you focus simply on calories and not food quality, you are missing the boat. If you would like to learn more about this, then you must read How To Make A Weight Loss Meal Plan (For Busy Professionals). In this article, we discuss why calorie counting isn’t always the answer. Science has shown this as well. The more plant based you are, the more likely you will be at your ideal bodyweight. Anecdotally, I have actually lost weight consuming a plant based diet while keeping my caloric intake the same as when I consumed an omnivorous diet. 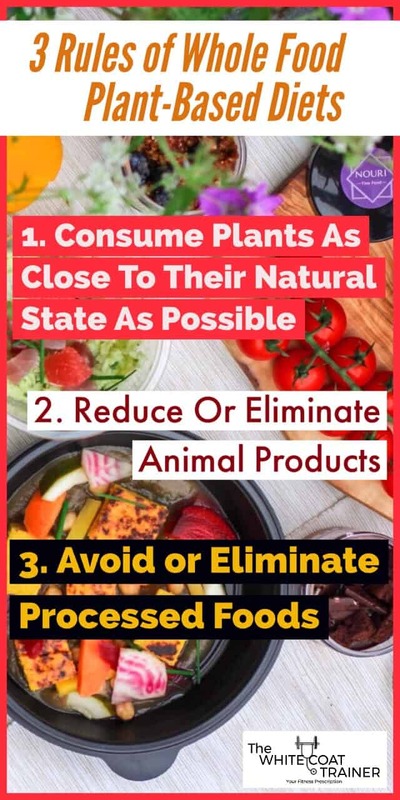 Several studies have also shown that limiting the intake of animal products while consuming more plants has the potential to prevent or improve several chronic health conditions. 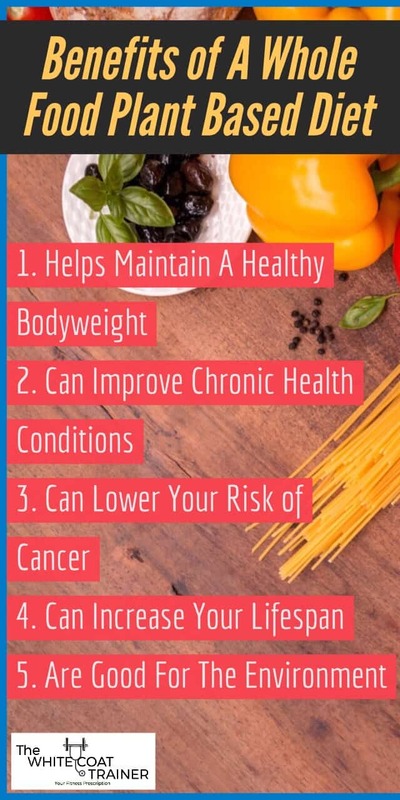 These include heart disease, hyperlipidemia, and diabetes. You shouldn’t need science to prove to you that consuming more vegetables and other natural foods will lower your cholesterol, your insulin resistance and your risk of coronary artery disease. There are even case reports of individuals completely reversing their diseases and decreasing their medication usage simply by following a whole food plant based diet! Unfortunately, many people don’t appreciate the significant impact a diet can have on health. According to the CDC, heart disease and diabetes are still among the top 10 causes of death in the United States, with over 600,000 deaths and 80,000 deaths respectively in 2016. There has always been a multifactorial approach to cancer treatment and prevention. With the advances of surgery, chemotherapy and genetic profiling, we have experienced a significant improvement in the screening, detection, and treatment of malignancy. So much so, that the metabolic component of cancer growth has been overshadowed. Some studies have shown a lower incidence of cancer among individuals following plant based diets. These include prostate cancer, colorectal cancer, and other GI cancers. In addition, bacon and other processed meats have been labeled as carcinogenic by the WHO! As always, correlation does not imply causation. Nonetheless, consuming a plant based diet serves as an interesting adjunct to standard treatments that has zero downsides, but numerous potential benefits. By consuming more plant based foods in your diet, you are effectively decreasing your chances of developing progressive chronic diseases that kill hundreds of thousands of Americans each year. Interestingly, some studies have also shown that consuming a plant based diet can potentially lengthen your telomeres; the ends of your DNA which naturally shorten as you age and ultimately leads to cell death. Heck, why wouldn’t you eat more plants just for this reason? According to Bloomberg >600 million acres, or 41% of American land is used to grow and maintain livestock. That is a lot of land. In addition, it is estimated that the production of 1 lb of beef uses upwards of 1800 gallons of water. Just 1 lb! Animal agriculture can produce up to 574 metric tons of CO2 emission into the atmosphere. Check out this quick graph from the Washington Post on how much CO2 emission you would save by replacing one beef meal per week with a plant based meal. But it’s not always rainbows and butterflies. Plant based diets have some negative effects too. Depending on how much animal products you choose not to consume, a strict plant based diet can lead to some nutrient deficiencies. The good news is, there is an easy way to get around them. Vitamin B12 cannot be synthesized by humans or animals. Animals get it by consuming bacteria that are present in soil and in different types of bugs. Humans subsequently get the Vitamin B12 by consuming animal products that have ingested the B12 producing bacteria. B12 is important in the development of red blood cells and in DNA synthesis. It is one of the most common nutritional deficiencies in the United States, and even more common in vegetarians/vegans. If you follow a strict plant based diet, you will need to supplement B12 or eat foods fortified with this critical vitamin. Iron is actually the most common nutritional deficiency in the world. Iron has a primary role in binding oxygen in your blood to help facilitate oxygen transport to tissues in your body. 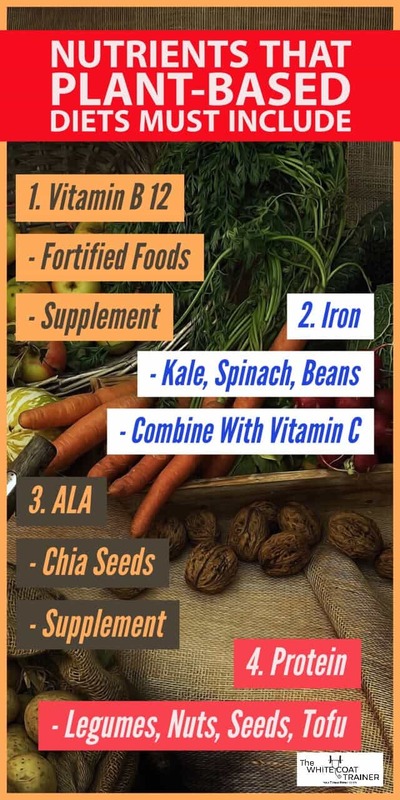 A lack of iron in your diet will lead to iron deficiency anemia. There are two types of iron. Heme iron and non-heme iron. Plant based sources only contain non-heme iron, which may not absorb as readily as heme iron which comes from animal products. However, consuming iron together with Vitamin C can help increase absorption of non-heme iron in those following a plant based diet. The best plant based sources of iron are leafy green vegetables. DHA is one of the long chain Omega 3 fatty acids which is primarily found in fish. These Omega 3’s have been shown to be important for brain health and in decreasing oxidative stress. Thankfully, ALA another Omega 3 fatty acid can be converted to DHA but in small quantities. In order to ensure that you are getting enough DHA in your diet, you can supplement with DHA, or consume enough foods that contain ALA such as chia seeds, flax seeds, or walnuts. Where Do You Get Protein On A Plant Based Diet? It is another commonly held belief that you will become protein deficient following a plant based diet. Thankfully, this is not the case. We are beginning to see more and more plant based strength athletes and bodybuilders, which shows that we can still maintain a great deal of muscle mass without consuming animal products. Most of the animals we consume for protein get their protein from consuming plants. Plants are actually a pretty good source of protein all by themselves. The best sources include all types of beans, nuts and seeds. So no, you will not become deficient in protein consuming plants. In fact, I actually set all time personal records at the gym after becoming plant based! Not consuming meat carries a lot of social stigmas. You may have to spend a great deal of time explaining to people why you are plant based, and may find your food options are limited whenever you go out to eat with friends. However, if you plan accordingly consuming a plant based diet is doable. At this point, you may be wondering what you can actually consume following a plant based diet. 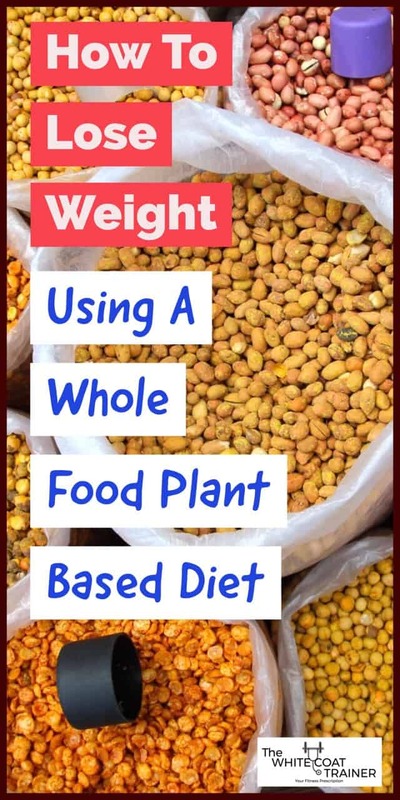 What Can I Eat On A Whole Food Plant Based Diet? Okay, so now let’s go over what you can eat while following a whole food plant based diet. No, you don’t just consume apples and salads. A whole food plant based diet is composed of hundreds of different things to choose from. There are three rules you need to follow. Plant based junk food exists, and it is no healthier than non-plant based junk food. Now let’s go over what you can eat. How many vegetables can you name? Broccoli, eggplant, cauliflower, carrots, potatoes, sweet potatoes, spinach, the list goes on an on. What about legumes? These are protein packed and offer a myriad of nutritional benefits. Mix them up. You can have lentils, chickpeas, black beans, kidney beans, peas, edamame etc. We can keep doing this with the other items in the list. Nuts are wide and varied. As are whole grains. Oats, barley, wheat, rice (and it’s numerous varieties), quinoa, cous cous etc. You can mix and match all of the spices you want. This changes the cuisine significantly, and makes each meal taste like it’s from a totally different culture every time. You have to check out our post on How To Meal Prep Efficiently For Busy Professionals. In this post, we go over step by step how we prepare healthy food for the entire week and spend as little time cooking as necessary. Alright, so here’s a quick whole food plant based grocery list for 2 people. If you can, buy at a wholesale supermarket. Our go to supermarket is Costco. We always buy in bulk, and this amount of food usually lasts us 2-3 weeks or so. Here is a typical whole food plant based grocery list. Every time we go to our wholesale supermarket, we usually spend around $120 dollars. Does The WCT Recommend a Plant Based Diet? A whole food plant based diet is full of so many benefits, it’s hard not to recommend it. As a whole, most people are used to consuming meat products multiple times per day. The thought of primarily consuming plants may seem completely foreign, and undoable. As you already know, nothing that is worth having comes easy. If you want to take your health to the next level, then this is it. I don’t care how you do it. Try meatless monday, or fish-less taco tuesday. Whatever. All you have to do is integrate more plant based meals into your regimen, and then see how you feel. I’ll warn you, it feels pretty good! What do you think of a plant based diet? Is meat a big staple in your diet? Do you have a negative stigma towards vegetarians/vegans? What barriers do you see in starting to consume more plants? And be sure to join our community to keep getting articles like this one, and when you do, you’ll receive a copy of our Ebook- The White Coat Trainer Nutrition Guide!